If ever there was an artist who doesn’t need an introduction, it has to be the man known to music lovers the world over simply as El Maestro. Throughout his rise to become both a foundation and a founding father of the underground house scene, the name Hernán Cattáneo has become synonymous with dedication, passion and an unwavering commitment to championing a unique quality of music that is hard to define, but instantly recognisable as his signature sound. His effortless ability to clock up more than 30 years of DJing, 11 albums, 30 singles and 50 remixes is the legacy of a uniquely powerful personal touch, which ensured that Hernán stood out from the start. During his first DJ residency at Buenos Aires’ legendary Clubland, it was Hernán’s winning combination of humble professionalism, primal passion for the music and deep­rooted dedication to the dancefloor­lovers which enabled him to make his mark as a warm­up DJ for some of the biggest names in dance music. And it was his friendships with those names ­ among them Paul Oakenfold, John Digweed and Sasha ­ that set him on the path to superstardom. Within just a few short years of embarking on an international DJ career, Hernán became the first ever South American resident for global brand Cream; won residencies at Cream in Ibiza and Liverpool and Pacha in Buenos Aires and Ibiza; and went on to grace the DJ Mag Top 100 poll ten years in a row. The quality of his selection and production skills were soon being called on by the biggest house labels, including Bedrock, Perfecto, Renaissance and Balance. As his global career grew, so too did his legions of fans, and word spread worldwide about the man whose legendary all­night sets had the power to set your feet on fire and make your soul sing. Long­since established as a hot ticket in any town, Hernán’s legendary all­night sets have seen him conquer every corner of the globe. From Warung Brazil, Yellow in Tokyo and LA’s Avalon to Stereo Montreal, Burning Man and London’s Ministry of Sound, there is scarcely a club, festival or dancefloor on the planet that hasn’t been transported on a masterful music journey lasting long after the ebb of the final beat. But beyond his own achievements and accolades, there are much deeper motivations moving the man who has become one of Argentina’s most treasured musical exports. As one of the rarified few artists to reach the very top, he works tirelessly to give his all back to the scene that supported him on his way up. Rightly renowned for his consistent championing of up and coming artists and labels, he has become as applauded for spotlighting the talent of the next generation as for his own skills. Through his DJ sets, his own Sudbeat label and his world­famous weekly Resident radio show, he is constantly connecting a global community, and providing an essential platform which enables new stars to shine. And while his own star continues to soar, perhaps Hernan’s greatest passion lies in empowering others to enjoy the best house music in the world, and shaping the future of that music for generations to come. 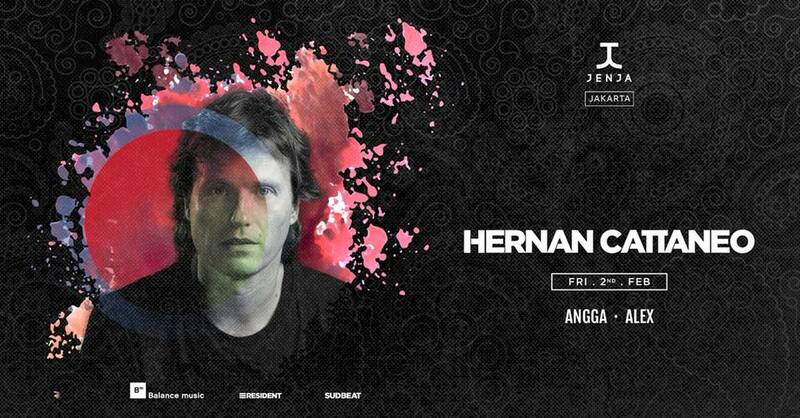 Get your presale ticket for Hernan Cattaneo at Jenja at maimilu.com now!